Does Arsenal's performance against Man United last week lend credence to the assertion that the Gunners are a stronger, more mature unit this season? Or is it the beginning of the old Arsenal who are yet to lose another title race after a strong start to the season? It’s amusing how one moment in a football match affects fan re-engagement so much. 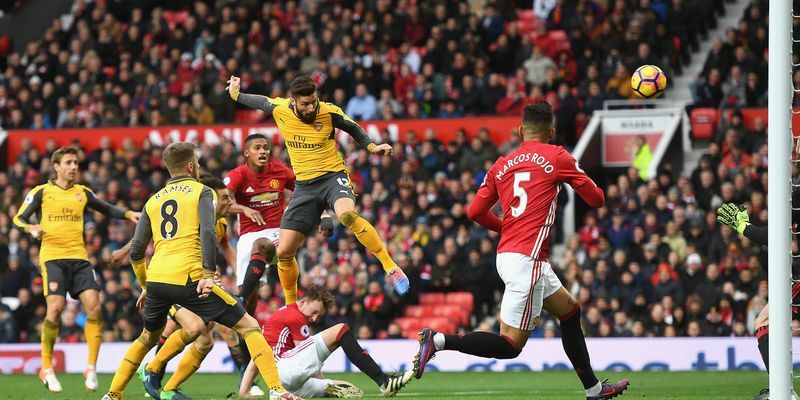 If Olivier Giroud had not powered in that header in the 89th minute, this match would have been quickly tossed into the burning garbage fire of Arsenal’s Old Trafford memories, smoldering on a bedrock of rotten pizza, cricket scores, and Ashley Young curlers. But because of that moment, this writer has already gone through multiple viewings of the game highlights, chuckling good-naturedly at a dire, timid performance culminating in the luckiest point the Gunners will earn this season. Does this result – maintaining Arsenal’s unbeaten run and adding to the occasions Wenger’s men have racked up the points despite being poor – lend credence to the assertion that Arsenal have a stronger, more mature and resilient squad this season? Or does the performance – tired, unbalanced, bereft of guile and creativity – count as another deposit to the same old Arsenal bank? We’ll discuss all this and more in this week’s Arsenal Cafe. There does seem to be some truth behind Arsenal’s increased mental strength. They survived a late Leicester barrage to take a point in the second game of the season, they came back from a goal down against Southampton in the last minute, they vanquished Burnley through desire and deflection as the clock struck for full time, they overcame a bogey team in Swansea in a close 3-2 win, and now they’ve climbed bogey mountain by taking a point from Old Trafford. The results are too many to explain down to only luck. ‘Mental strength’ is an ethereal, qualitative term that needs to be conflated with squad strength, player mentality, and fixture context to make more sense. Arsenal have certainly improved their squad strength. Giroud and Oxlade-Chamberlain have come on multiple times to make an attacking difference; Granit Xhaka, Mohamed Elneny, and Aaron Ramsey have been brought on for midfield refurbishment, bite, and stability; and Gibbs has been called upon for shoring up the wing. A far cry from the hilarity of Arshavin as the lone striker, the horror of Armand Traore at left back, and the heartbreak of Gervinho running up blind alleys. Player mentality has also taken an upswing. New signings have a common undercurrent of sacrifice and finding opportunity in adversity that has bestowed them with passion, drive, and street-smarts, qualities that Arsenal squads of the past have cried out for. Against Man United, as toothless as Arsenal were in attack, they still had a fiery Chilean running himself ragged at striker, a belligerent German barking orders at the back, and a French-Egyptian duo pulling no punches in midfield. Even long-time Arsenal players like Walcott and Gibbs, hitherto cossetted in the privileged Arsenal crèche, have found the steel to complement their style recently. The last point – fixture context – also makes for positive reading. Arsenal have historically had trouble against Swansea, Southampton, Chelsea, and Man United, but have been able to come up with wins and draws they may not have merited (barring the Chelsea demolition). If you collect points against teams you usually have a problem with and collect points from teams you usually don’t have a problem with, that’s a whole lot of points collected. There does seem to be some truth behind Arsenal’s good fortune this season. They got away with two penalty appeals against Leicester, had Shane Long to thank for messing up two clear opportunities, held on against Swansea as open chance after open chance went begging, laughed in giddy relief as an offside/handball combo was ignored by the ref against Burnley, and survived penalty shouts and missed headers against Man United. There are too many poor, lucky performances in there to explain down to only mental strength. This writer thinks that Arsenal have been hit-and-miss in their performances this season because of an unbalanced midfield, a leaky left wing, and conflicting striker styles. Since Cazorla’s injury, Wenger has had trouble fitting the surfeit of midfield options at his disposal into an effective axis. Elneny and Coquelin were solid but uninspiring against Man United, a safety-first option that crippled their attacking drive. On the other hand, Ramsey and Xhaka seems like a devil-may-care duo, unable to marry their attacking instincts with defensive discipline. Cazorla has blossomed into the perfect mixture of magic and maturity in the middle, and his extended absence will only exacerbate Arsenal’s existential crisis in midfield. There are many good things about Alex Iwobi, but his lack of support to Nacho Monreal is not one of them. The Spanish left-back has been left high-and-dry on multiple occasions this season, having to contend with pacey opposition like Barrow, Aurier, and Downing, and coming up short. Monreal’s form has been iffy as it is, and his unanswered cries for help have only made things worse. Finally, Wenger’s imperfect matching of striking choice to game type has resulted in some labored Arsenal games. 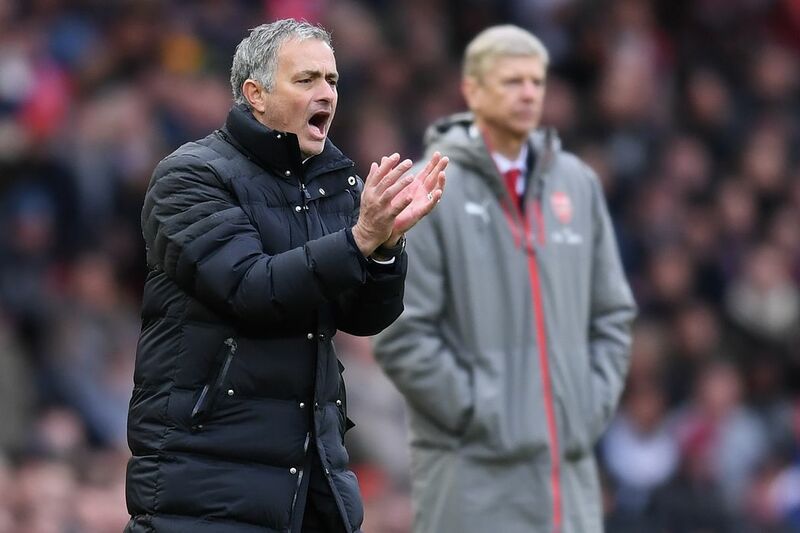 The Man United game provides a good example: Mourinho packed the midfield and instructed his players to press hard, forcing Arsenal wide and not giving them more than a couple of eye-blinks to make their passing decisions in the final third. Olivier Giroud’s battle-hardened, cross-friendly style would probably have been a better bet in this scenario than Alexis Sanchez’s pliant, false nine-ish modus operandi. 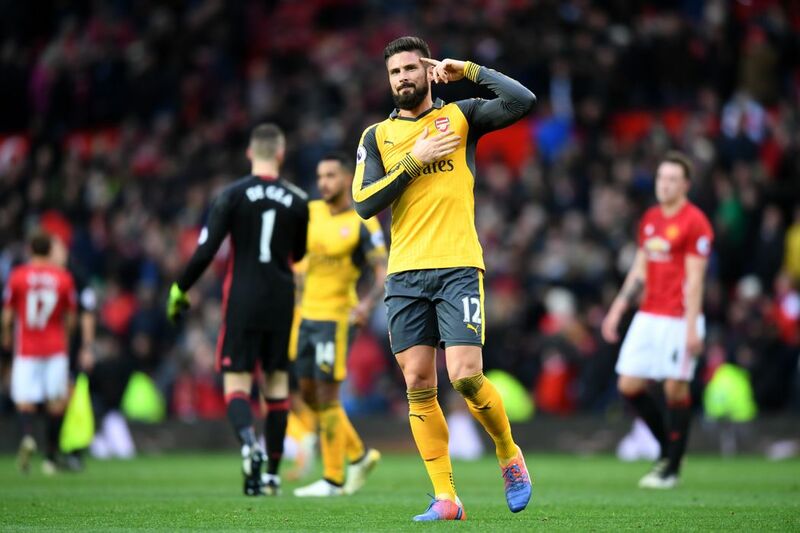 To credit Wenger, he eventually made the substitutions necessary to change the game, but it’s not hard to imagine (albeit with the benefit of hindsight) a better Arsenal performance had Giroud started. This writer is no Mourinho fan and confesses that the following exposition may be riddled with biased bullet-holes. But a man that has a harsh, confrontational, abrasive managerial style, publicly criticizes his players and accuses them of overstating their injuries on a semi-regular basis, courts controversy with referees and authorities over his daily afternoon tea, traverses juvenile, personal territory in his comments about other managers, condescends the media as footballing Einsteins, and has abused his medical staff just for doing their job on at least one occasion, simply cannot demand respect when results don’t go his way. When Mourinho won – and he has won a lot – all attendant peculiarities and dark machinations coalesced into his gilded Death Star as necessary additions. They added to the myth of the man, generated intrigue, elicited gasps of admiration at how this man manipulated all stakeholders’ opinions to his will as he stepped over toes and ascended the mountain of success. When Mourinho doesn’t win – and this has happened a lot recently – he just comes off as a petty, vindictive person, an internet-troll manager, insulting one person and then another before claiming that the world is against him. Respect is a two-way street and one has to follow traffic rules. Mourinho is used to racing down the street in his daddy’s black Scorpio, windows down, collar up, and music blaring. Perhaps self-reflection is needed before respect comes his way.